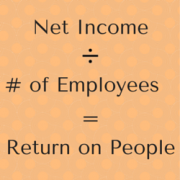 I’ll be releasing the full Return on People Benchmark Report later this month, which is an uncommon yet insightful measure into productivity, profitability, and how well you turn your only sustainable competitive advantage – people’s ideas and talents – into value that customers are delighted to pay for. What does it take to be in the top 10% of the Return on People Benchmark – Manufacturing Edition? 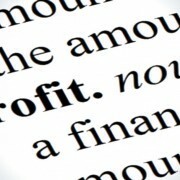 Profits consistently exceeding $131K per employee per year. Amazed by that number? Intimidated? It’s just a starting point to inspire you to work towards more! Keep an eye out for the detailed bell-curve diagram in a couple of weeks, find out if you’re an A, B, C, D or F, and keep reading to find out how you can move up a grade or two. Not in manufacturing? Let me know what industry you’re in, I’ll be happy to share numbers that are relevant for you. Who are the Stars and Dogs? Pharmaceuticals and Technology firms often take top spot, but everyday and somewhat mundane businesses routinely make it into the upper echelons too. Take a look at the list of the top 10% below, and you might just be surprised! Oddly enough, it’s EXACTLY those same industries that are also in the BOTTOM 10% (see below), and that’s why this metric is so powerful. 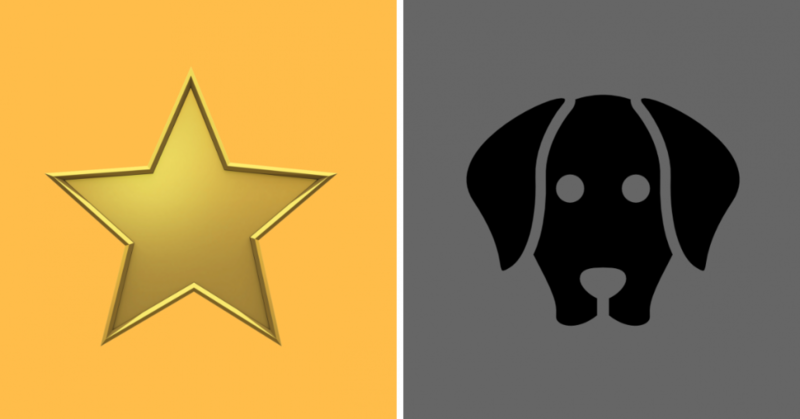 While some industries are inherently more profitable than others, almost EVERY industry has stars and dogs! Which one do YOU want to be? Some companies excel at having their employees create value for customers. Some couldn’t find value if it was in their lunch bucket. Culture, engagement, alignment to strategy, getting things right the first time, competitive advantage, customer loyalty – all of those and more play a role. And yes, sometimes there are good reasons for a company to land in the “dog” category – as Tesla did this year due to the huge expenses and investments related to disrupting an industry. The real story surfaces when you look at the relatively undifferentiated companies in an industry, and see vastly different results. Why does Ford earn almost 3x the Profit per Employee that GM does… and why does Toyota earn almost 2x what Ford does? 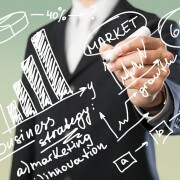 Isn’t lean knowledge ubiquitous in the automotive industry? Don’t they all use robotics and other advanced technology? Clearly, other factors are at work, and that’s what you need to drill down into within your own industry. Here’s how to be the best in your industry. When I’m speaking at conferences, corporate retreats, or small executive gatherings, leaders always say “but I’m not a Fortune 500 Company“. Even if you’re not, this metric is still very relevant, because of how it impacts strategy, and how it can impact everyday behaviors when you use it as a powerful catalyst. These days, almost every competing company has access to similar capital, similar technology, similar processes regardless of size. What makes the difference is people, and how well they turn talent into value. It’s your people’s everyday behaviors that create or destroy profitability, not bookkeeping. That means you need to have the right strategies to become a “destination company” for the best and brightest people in your area. And it means you need the tools and processes to guide them to behave like owners everyday. But first, they need to break free from being happy with the status quo in their work. Enter Return on People as a powerful catalyst. When you’re doing performance reviews, do most of your employees think they’re pretty good performers? Do many of them often ask for a raise? Companies earning an F on the Benchmark couldn’t even stay in business if they gave their employees a raise, which is not exactly a sustainable business strategy. Instead, show them what “good” looks like in terms of where you’re at on the Benchmark today, where your competitors are, and where you’d like to be. Their competitive instincts will automatically kick in, and they’ll want to help your company be the best. But wanting and doing are two different things. So, what you still need is an actual plan to systematically shift your company from where you’re at today to where you want to be, engaging your employees and customers at every step of the way. That’s the work that I do with companies who are motivated to become the best in their industry. When you’re ready for the tools and processes required to build a P.R.O.F.I+T Plan that will increase your Return on People by a grade or more and help you become a “destination company” for new hires, why not have a chat and I’ll share some ways that you can do that. Email me at IncreaseROP@AnneCGraham.com. The One Number Telus Should Really Be Keeping An Eye on – and You Should Too!